While hostility toward the West has a long and varied history in the lands of Islam, its current concentration on America is new. So too is the cult of the suicide bomber. 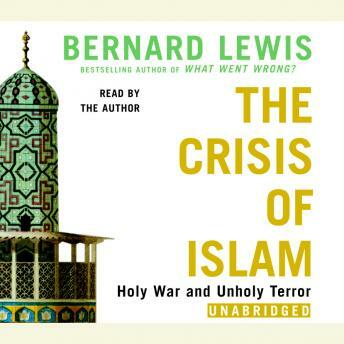 Brilliantly disentangling the crosscurrents of Middle Eastern history from the rhetoric of its manipulators, Bernard Lewis helps us understand the reasons for the increasingly dogmatic rejection of modernity by many in the Muslim world in favor of a return to a sacred past. Based on his George Polk Award–winning article for The New Yorker, The Crisis of Islam is essential reading for anyone who wants to know what Usama bin Ladin represents and why his murderous message resonates so widely in the Islamic world.